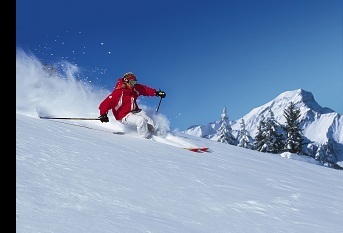 Ski and Snowboard Off Piste: The Freeride! Lovers of freeriding powder on steep slopes will find here a playground for their level of skiing, while fans of easier skiing and discovery can also expereince a wilderness safely and with suitable equipment. Between Lake Geneva and Mont Blanc, discover the fabulous French-Swiss Portes du Soleil with your instructor, with friends or family, for special moments. 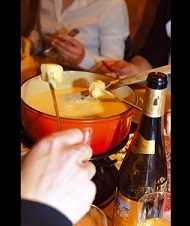 Guaranteed fun and a good Swiss cheese fondue lunch!